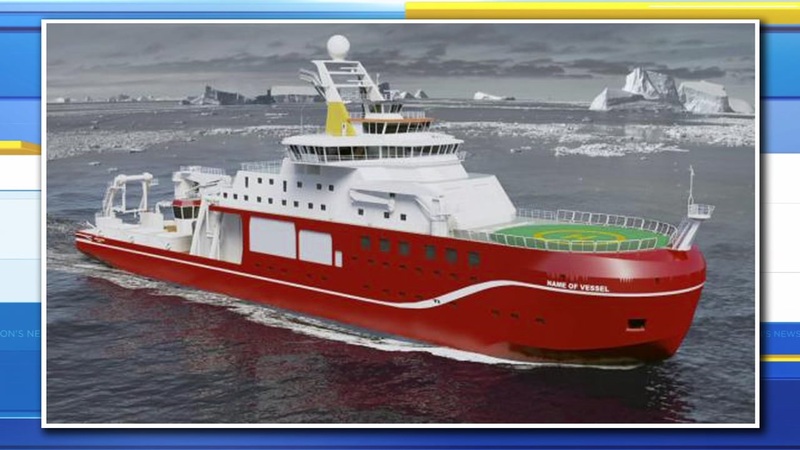 LONDON -- Boaty McBoatface had captured the public's fancy but British officials said Friday the country's newest polar research vessel will be christened Sir David Attenborough, in honor of the prominent naturalist and broadcaster. But all is not lost for Boaty McBoatface fans who had voted in favor of the unusual - and perhaps undignified - name by an overwhelming margin. Science minister Jo Johnson said a submarine vessel that will support the crew and various research programs will be called Boaty McBoatface. "The public provided some truly inspirational and creative names, and while it was a difficult decision I'm delighted that our state-of-the-art polar research ship will be named after one of the nation's most cherished broadcasters and natural scientists," he said. Attenborough, who has produced a string of nature documentaries for the BBC and will celebrate his 90th birthday on Sunday, said he was "truly honored" by the choice of name. The Natural Environment Research Council had asked for help finding a name reflecting the 200 million-pound ($284 million) ship's mission and celebrating British naval history. The jokey suggestion Boaty McBoatface got 124,109 votes, more than three times its nearest rival. The vote was advisory and officials had hinted that a more serious name would be chosen for the vessel, which is scheduled to be launched in three years.